We all need an iPad in our life, and things start to get better when you throw in a discount that really takes the cake. 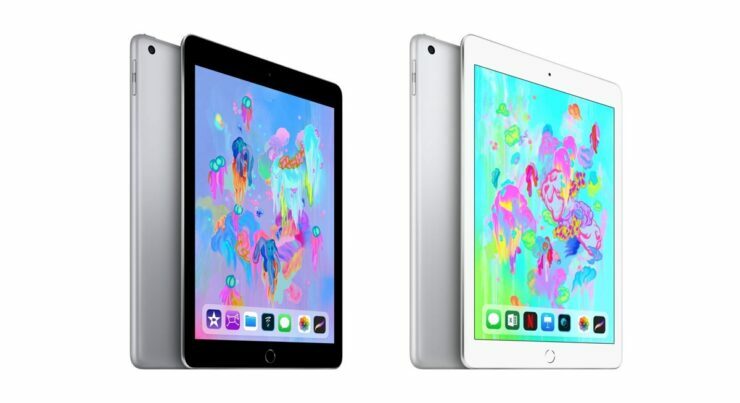 Apple’s Latest 9.7-inch iPad is Down to Just $249 from $330, Pick One up Today! Though the new 2018 iPad Pro is the talk of the town, thanks to its beautiful display and all-new hardware. But of course, we can’t forget the regular iPad in any case since it is an extremely capable piece of hardware at such a low price point of just $330. What if we told you that you don’t have to spend $330 at all and you can just get the tablet for just $249 instead? Today, we have a deal that grants you your life long wish in one fell swoop: the latest iPad for just $249. The models on sale are the 32GB variants that are WiFi-only and come in Space Gray and Silver color options. Despite the lack of cellular connectivity, you’re getting a lot of iPad for very, very less money. Heck, it’s hard to find any flaw at this price point. If you were looking to gift someone the perfect tablet this holiday season then you might want to seriously consider this deal. Or, you can just gift it to yourself if you like. Featuring a beautiful 9.7-inch Retina display, the iPad 6 packs a lot of power under the hood even in 2018. Things are topped off with iOS 12, that truly unleashes the power of the iPad in terms of performance and features. And oh, it even supports the Apple Pencil which makes it great for jotting down notes in class or just, you know, showing off. You can grab the tablet from the links below. Remember, this is a very rare and limited time deal on Apple’s latest iPad model so make up your mind fast before stock runs out.